Covert FBI agent Court Gentry loves his brothers, his job, and his Harley-Davidson. Once he loved a girl, too, but when she broke his heart, he put his emotions on lockdown… until she crosses his path again. When Lauren and Court reunite after her friend marries his brother, Court guards himself against the person who made him feel such intense passion and pain. Except the undeniable spark between them is impossible to contain and heating up fast. Six years ago, it was love. Now, it’s just lust. Keeping it merely physical is a foolproof plan… right? Lauren Montgomery is free and living life how she wants. Despite having an ex-husband who is more than evil, she has pushed past it and moved on in her life. Her one regret is that she was unable to love Court Gentry, the love of her life whom she met during her spring break trip, just after her divorce. Court is a cowboy, FBI agent, and all around smooth talker. He does dirty talk well, fights bad guys, and can't get Lauren out of his head. When Lauren and Court find each other again, they need to figure out whether or not they can handle each other's pasts. Court needs to make sure that Lauren's protective streak when it comes to her friends and family is okay with him and Lauren needs to learn to trust Court and his brothers. When the worst happens and Lauren's ex-husband is released from prison, it will take all of Court and his brothers' tools to fight and keep Lauren alive. I loved how fast paced this story was and the chemistry between Lauren and Court was off the charts. 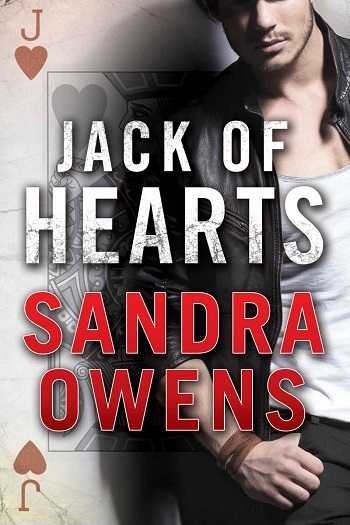 For reviews & more info, check out our Jack of Hearts post. A native of Florida, Sandra Owens managed a Harley-Davidson dealership before switching from a bike to an RV and roaming the open road (though she’s also chased thrills from sky-diving to upside-down stunt-plane flying). In addition to Crazy for Her—a 2013 Golden Heart Finalist for Romantic Suspense—her works include the Regency romance novels The Letter, winner of the Golden Quill for published authors award, and The Training of a Marquess, winner of the Golden Claddagh Award. A member of the Romance Writers of America and a potential cat owner, she lives with her husband in Asheville, North Carolina. Reviewers on the Wicked Reads Review Team were provided a free copy of King of Clubs (Aces & Eights #2) by Sandra Owens to read and review. 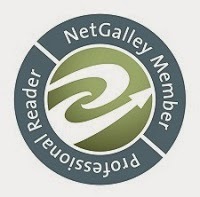 Thank you so much for reading and reviewing King of Clubs!